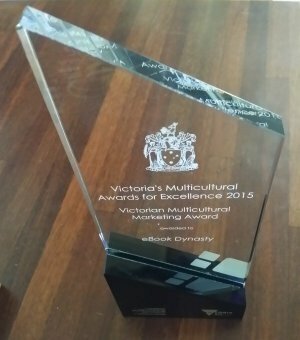 I first came to know Matthew Reilly and his action thrillers in 2010, when I started helping the local primary school to sell second-hand books at the fete. Among the thousands of books donated by the school community was Ice Station, Reilly’s first published work, which I purchased for a dollar. Intrigued by the cover blurb about “a secret buried deep beneath the ice” in Antarctica that has the French, British and U.S. special forces fighting over it, I finished the book in three days. While I did not particularly enjoy the story – too many swearing marines – it did lead me to other interesting titles such as Jack Du Brul’s Pandora’s Curse. Knowing that Reilly is Australian, I keep an eye on his books. Then, in 2012, I had a chance to help London-based Taiwanese author “L” to publish his novel Death in Venice as a Chinese ebook. The story’s hero, Lupin, has excellent skills in sabotage and demolition, hostage rescue, and reconnaissance and surveillance in all kinds of hostile environments. Throughout the publishing process, I had lots of fun editing the thrilling events as Lupin dashes from Berlin to Zurich and then from Rome to Venice, just to stop a deadly weapon from being sold to terrorists worldwide. “L” and I had a great time talking about Reilly and other authors such as Robert Ludlum and Dan Brown. However, I did not really pick up another of Reilly’s books until The Tournament. It was in February this year, after I watched “The Other Side” (transcript here), an episode of Australian Story that features (extra)ordinary Australians and their life stories. In that episode, Reilly talked about the tragic death of his wife and its impact on his life and career. Reilly’s story touched me. He is not the first writer who picked up his pen again after a terrible personal tragedy. Indeed, we have Stephen King who recovered from a near-fatal car accident in 1999 and Nicholas Evans who kept writing while undergoing daily kidney dialysis in 2008. Even Clive James, who is now truly dying of leukemia and the added complications of emphysema and kidney failure, refuses to rest his pen. With that said, one’s having nearly died himself and his loss of a loved one to death are two different things. In the case of King, Evans and James, they are still themselves. Their writing styles did not change. While their literary voices are still loud and full of compassion, their themes have become more diverse. Their cut and probe into (the dark side of) humanity are now much deeper and without mercy, as if they have realized, after their brush with death, that time should be used more wisely than “going gently into that good night”. Time is limited, for lightning does strike twice. But in Reilly’s case, time stretched out to become eternity. Without his wife, who had always believed in him, providing constructive criticism and helping to make his characters emotionally better, he seems to have become a different writer. The Tournament was the first book he published after losing her. 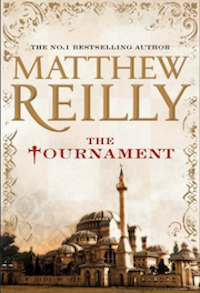 Set in 1546, the story features a young Princess Elizabeth as she and her mentor Roger Ascham travel to Constantinople to witness an international chess tournament organized by the Sultan of the Ottoman Empire. While there, Ascham is asked to solve a series of murder mysteries. The dark secrets and unspeakable crimes they uncover in that majestic city will forever change her life. It is a great plot, though not very well told. While Elizabeth is too two-dimensional and lifeless to be a credible female lead, throughout the story she seems to serve only as a mirror that reflects Ascham’s intelligence and wisdom, a kind of Dr Watson whose duty is to ask questions so that Sherlock Holmes can explain why. Worse, in an attempt to explain the extent to which the events in Constantinople mark the young princess for life and define the queen she will become, the character Elsie is created to be a sharp contrast. Depicted as a woman who uses her body more than her head, Elsie is free to go everywhere and reports on everything she witnesses in the Ottoman Capital’s dark corners. She serves as the other mirror in the story, one that is thrown to hell and brought back in the last minute so that Elizabeth can learn her lessons. Nonetheless, what I like about The Tournament is its demonstration of the kind of rawness that only new writers have, a sort of bluntness, an awkward yet fresh way to put all the pieces together into a presentable picture, an eagerness to please, a fierce desire to employ fiction as social commentary, a naïve courage to try anything and everything that is possible, an all-or-nothing approach. If this is indeed Reilly’s attempt to change his writing style, then the book explicitly displays what happens to an experienced writer when he steps into a completely new and strange territory. Still, a writer has to write himself out the pigeonhole that has shaped him, that has granted him so much fame and glory, such a sense of familiarity and great expectations, before becoming stale. It takes more courage than any marine, including the (in)famous Shane “Scarecrow” Shofield, can ever possess, and Reilly knows that. He is brave – I will give him that. Which is why I list The Tournament as one of my top five books for 2014. Note: In 2015, I would be very keen to read Reilly’s Troll Mountain and The Great Zoo of China, both of which appear to be quite different from his renowned action thrillers. I did read his Hell Island recently, which brought back all the memories of reading his Ice Station and Michael Crichton’s Congo. I rolled my eyes.